Introducing: Better, Beta Bolters | Ciim.ru - новости для Вас ! Bolters! Aren’t they brilliant? Take a high-calibre assault rifle, replace the bullets with mass-reactive rockets the size of drinks cans, give them to your choice of power-armoured demigod, and boom! (literally) – you’ve got the 41st Millennium’s most iconic weapon. 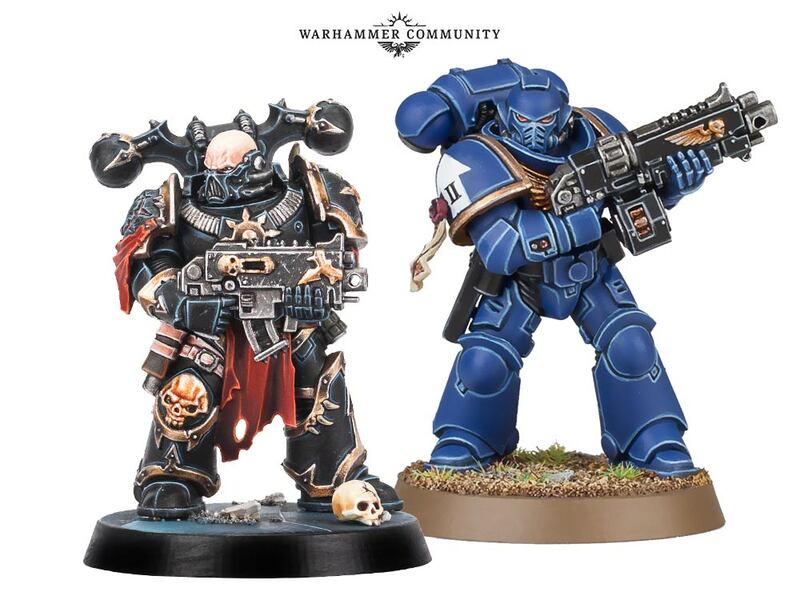 In the hands of a normal warrior, a bolter is deadly, but in the hands of a Space Marine, they become a divine instrument of the Emperor’s* wrath. We’ve been thinking a lot about bolt weapons recently, and we reckon, as the iconic weapon of humanity’s finest, Space Marine bolters could be better. Veteran Warhammer 40,000 fans might be feeling a nostalgic twinge right now – and that’s because back in the distant past of 2nd Edition, the Rapid Fire rule was initially invented for Adeptus Astartes for just such a purpose – and now Space Marine and boltgun will be a combination to be reckoned with once more. As a beta rule, we’d love you to try this in your games – just give your opponent a heads up first and check they’re okay with it. Once you’ve given it a go, if you’ve got thoughts, we’d love to hear what you think – email us at 40kFAQ@gwplc.com with the topic “Beta Bolter Discipline Feedback” and we’ll consider all your feedback in the final version of this rule! If you’d like to read a more in-depth perspective on beta rules and the thinking behind this update, be sure to check out February’s White Dwarf, coming early next month. We’ll take a closer look at the issue this Friday. *Or, the Dark Gods’ – take your pick.